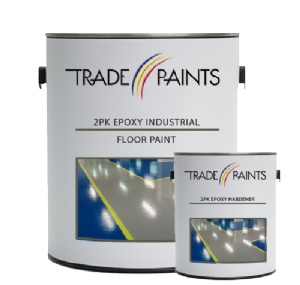 Our Industrial 2 Pack Epoxy Floor Paint is a 2 pack chemically curing glossy floor paint for use in high traffic areas. 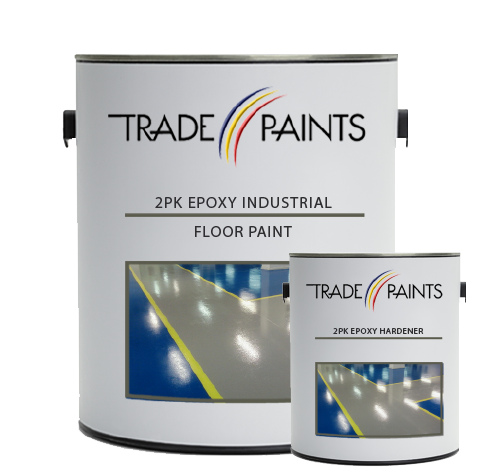 2 pack epoxy coatings provide extremely tough a& seamless finishes, with exceptional resistance to most chemicals, solvents and oils. 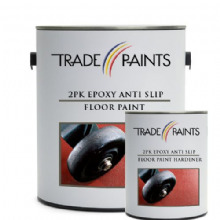 Our epoxy floor coating is ideal for use where regular foot, vehicle and truck traffic is expected, & where there is risk of occasional spillage's of chemicals, solvents, oils and other surface contamination, such as warehouses, factories, workshops, garages & showrooms. Slip resistance can be enhanced by incorporating & medium grade anti-slip aggregate additive into the system. Scatter the aggregate onto the wet first coat, this should be allowed to dry, then the loose particles brushed away before applying the second coat.